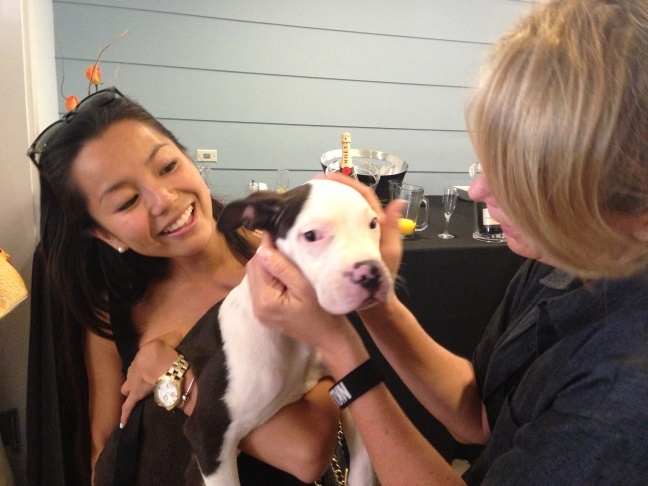 Tiffany Mui of West Hollywood checks out one of NKLA's pets that is up for adoption. 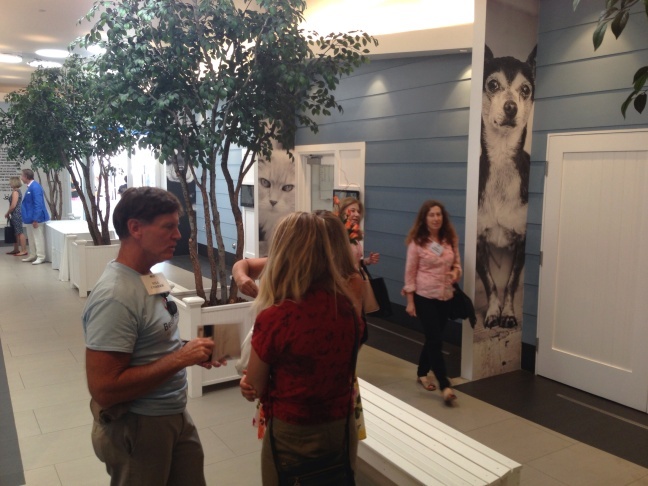 An interior view of the NKLA Pet Adoption Center in West Los Angeles. The center can hold about 150 animals. 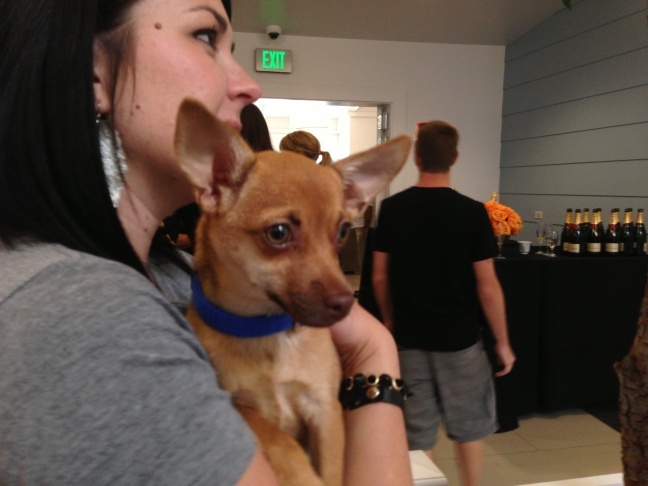 Volunteer Candi Crawford holds Chandon during the NKLA Pet Adoption Center's grand opening event. 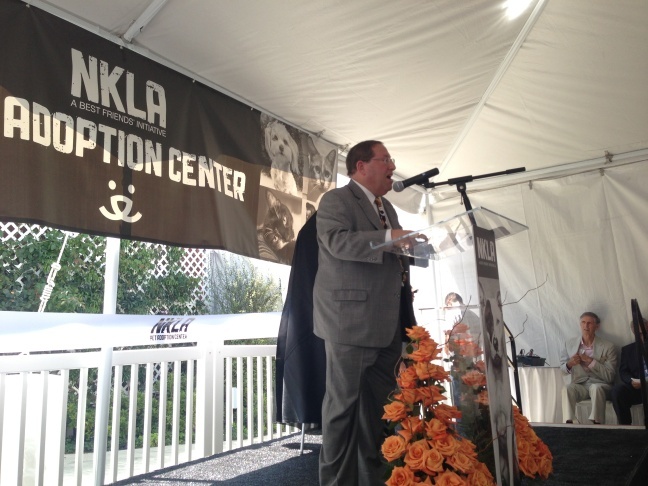 The new NKLA Pet Adoption Center in West Los Angeles opened August 1. Sunday marked the center's official ribbon cutting ceremony. L.A. City Councilmember Paul Koretz speaks during the ribbon cutting ceremony. The animal welfare coalition No Kill Los Angeles celebrated the opening of a new animal shelter in West L.A. on Sunday that aims to save 1,000 pets from euthanasia each year. The new shelter, called the NKLA Pet Adoption Center, is operated by Best Friends Animal Society Los Angeles, which partners with city-run animal shelters to try and reach a 2017 goal that would eliminate the killing of shelter animals due to lack of space. "We continue to reduce our numbers of animals being euthanised," said L.A. City Councilmember Paul Koretz, who attended the event. "This shelter will certainly help us move in that direction. The numbers are being reduced, but there's still a pretty large number." 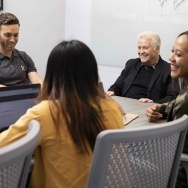 Best Friends LA, which leads the coalition of about 60 organizations, operates the new shelter as well as one in Mission Hills. The group collects animals from city shelters. Each time a dog is adopted at a Best Friends facility, its staff rescues another one from city shelters to take its spot. In the past year, Los Angeles city shelters euthanized more than 17,000 cats and dogs. That's out of about 55,000 cats and dogs that were taken in. 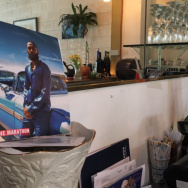 Koretz, who represents West Los Angeles, Encino and the Valley, authored an ordinance last year that eliminates the sale of commercially-bred animals in pet stores located in the City of L.A. He also supports expanding the number of dogs and cats people can own in their homes and increasing spay and neuter programs. "Everything is a step at a time, there's no magic answer," he said, adding that his personal goal is to reach a no-kill status for Los Angeles in the next eight years. Koretz owns two cats, which his family rescued. As a child, Koretz at one point owned 19 cats, which his parents gave to a shelter. He believes the animals were likely euthanized, and says some of the motivation from his current work comes from that memory. 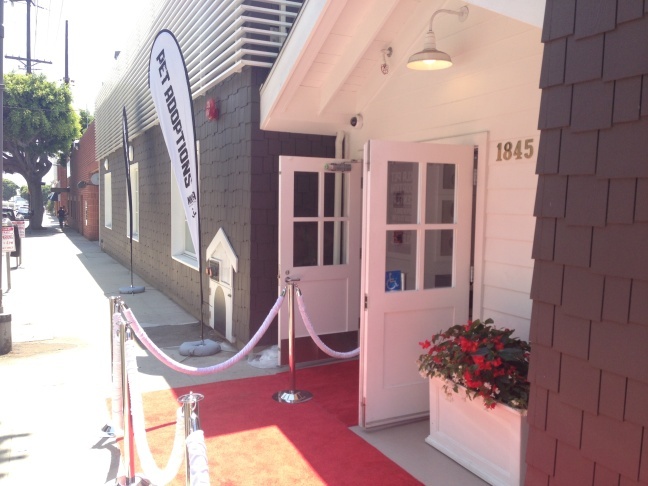 The celebratory ribbon-cutting event featured a red carpet and brunch. The 11,000-square-foot facility is designed with a "Cape Cod" theme. It includes soundproof walls and a library, as well as private rooms where visitors can get to know prospective pets before deciding to adopt them. "It looks like a home, it looks like a happy place," said West Los Angeles resident Lisa Avebury after she stepped out of a hallway of dog kennels. She added that depressing city shelters can sometimes be emotionally overwhelming for people to visit, and that she hoped more people would rescue animals from the new shelter because it's a comfortable place to visit. Mitchell Schwartz was also impressed. "It's very clean and the dogs seem very well taken care of," said Schwartz, who was there checking out the dogs for adoption with his son. "There are a lot of homeless people that would love to live in a facility like this on the Westside." By 1 p.m. three dogs and one kitten had been adopted. The center allows for same-day take home of its pets, which have all been spayed or neutered and microchipped. Pet adoption rates cost between $100 and $350 and include a free pet ID tag, one month of pet insurance, leash, collar and a bag of food. 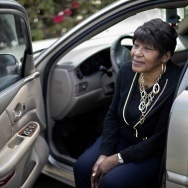 All potential owners must go through a screening process. After the No Kill Los Angeles coalition started in 2012, its members claim 4,200 fewer dogs and cats were euthanized in Los Angeles city shelters last year. The coalition is on track to reach similar numbers this year.